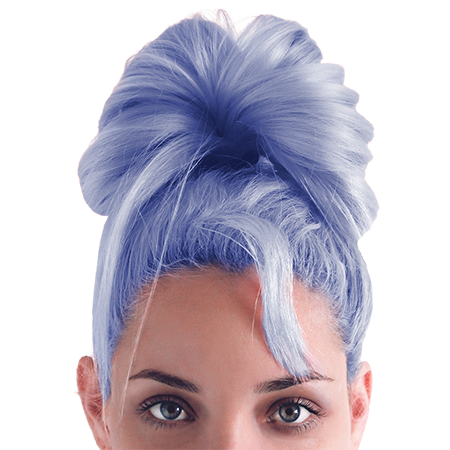 Hair colouring: we love pastels! It all started when a few celebrities popularized unnatural colouring, and then the trend spilled out into the street. With the proliferation of easy-to-use, non-permanent home colouring products , we’re now going all out when it comes to hair colour. The advantage of pastel is that it’s perfect for softening your facial features and yet so glamorous! Whatever your age, you can choose an all-over delicate lilac, soft pink or bold silver. To really highlight these quirky tints, we recommend a precise and well-structured cut. NOTE: For best results, consider the base colour of your hair and remember which colours match it. 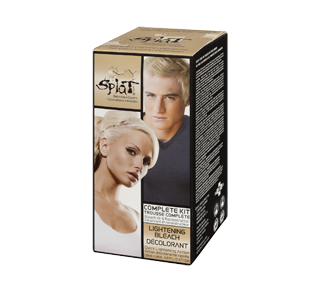 For darker hair, the pigments will first have to be brightened in order to stand out. Pink is a favourite among Hollywood’s stars: Katy Perry, January Jones, Nicole Ritchie, and so many more! To get this cotton candy colour, mix magenta with white (watch out for red reflections: mixing dark or reddish yellows with pink can result in orange). To get a delicate pink, you should have white/blond or non-coloured hair. Lilac has been trending for several years now and this season, ash lilac is all the rage. The advantage of this colour? Its softer hue adapts to all skin tones. And since lilac has very gentle purple and bluish tones, it enhances both pale complexions and very dark skin tones. 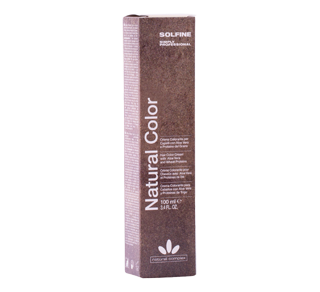 For this colour, we also recommend non-coloured hair to allow the pigments to better penetrate. Seen on runways and red carpets, silver grey is one of the season’s biggest hair trends. But careful: nobody wants an old grey. On the contrary! Opt for a pure, metallic, bright silver! 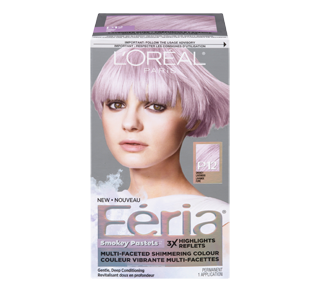 This colour is great for women with blond to light brown hair. Any darker, and you’ll first have to brighten your hair. Already have white hair? No worries: the grey will only become brighter. The concept of tie-dying is simple: colour your hair with several pastel shades to get a beautiful gradient, like an explosion of colour. You can also opt for just one colour, which you fade out little by little. Note: If you decide to do this technique at home, check out some of the tutorials on the web, since tie-dying, whether classic or pastel, takes several steps to do right, with some more complicated than others. Super quick lightening action bleach. Extreme, shocking, expressive. One application. The high-tech, PPD-free colour line. Time for a new hue! Leave classic colours behind and opt instead for pastel shades. Here’s a look at this trend.